Jethro is designed specifically for the unique needs of interactive enterprise Business Intelligence (BI) on Big Data. It is a transparent middle tier that requires no change to the BI apps or the underlying data. Jethro employs full indexing, auto cubes and a sophisticated optimizer to address the full range of BI queries. As it is self-driving, Jethro requires no maintenance or tuning, which eliminates costly manual administration. 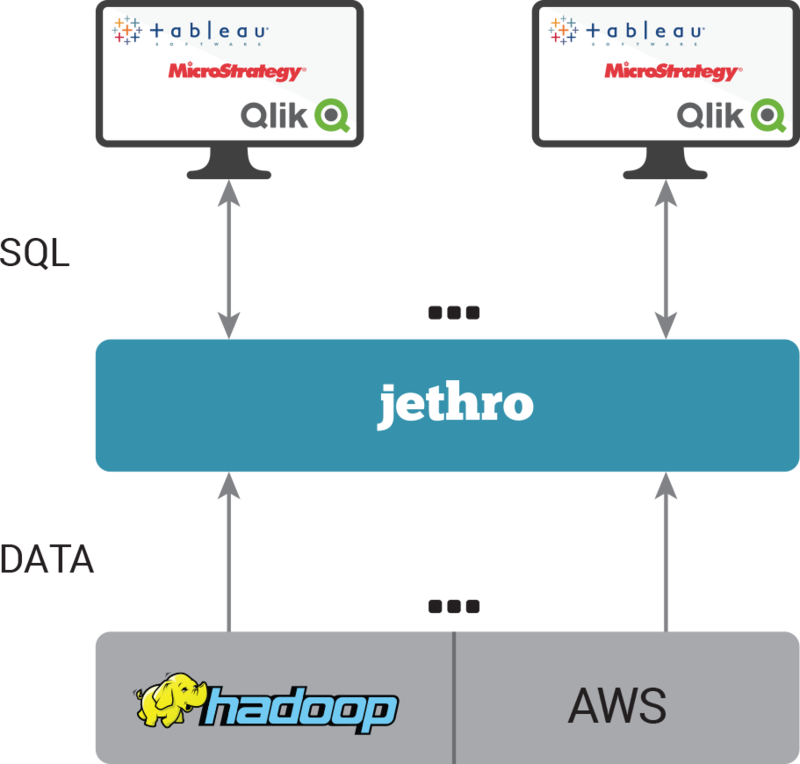 Jethro is a transparent middle tier that resides between the interactive BI clients and the underlying Hadoop or AWS cluster. No changes to the BI applications or the underlying data are required. 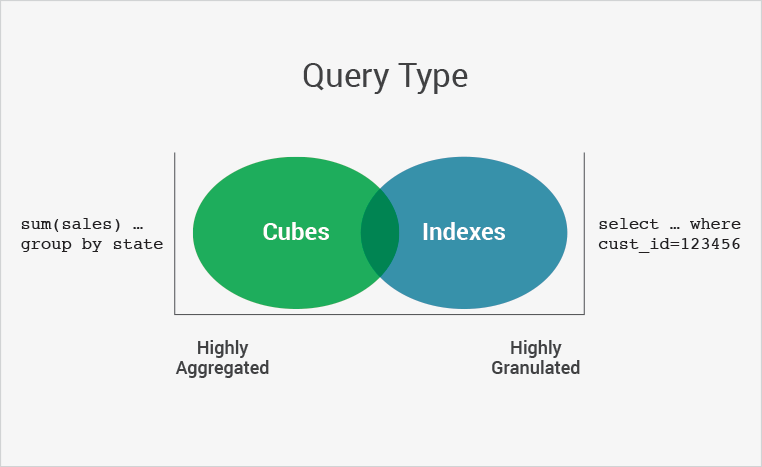 Full indexing and auto cubes perfectly complement one another to deliver fast performance for all BI queries from highly selective to the inherently aggregated. Indexes and cubes are created and maintained offline, which significantly reduces the workload. Jethro computes query results from its up-to-date indexes and cubes. We’d love to show you how Jethro tears through billions of rows of data at refreshingly fast speeds. Next step we can schedule a live demo to show you how big data is no match for Jethro.